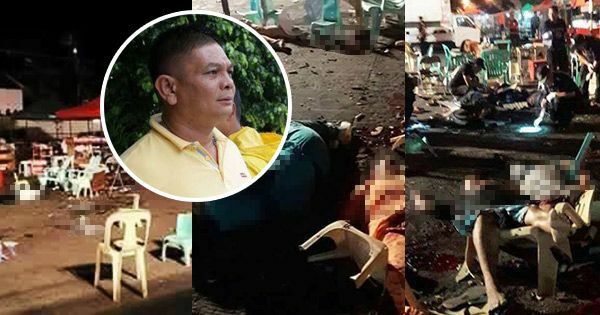 The alleged mastermind of the deadly Roxas night market bombing in Davao City and his brother have been arrested, according to a report. On its Facebook page, Bombo Radyo Philippines reported that Vice Mayor Abdul Wahad Sabal of Talitay, Maguindanao, and his brother Montaser were the ones behind the September 2 attack that left 14 people dead and 71 others wounded. Bombo Radyo reported that according to their source, the two suspects were arrested in Cotabato City and brought to Camp Crame for interrogation. The bomb maker who was arrested in North Cotabato recently pointed to the Sabal brothers as the masterminds of the Davao blast. It can be recalled that the suspects were among those listed as narco-policitians by President Rodrigo Duterte, the report said.